A delectable spread for toast, bagels, English muffins and other foods. It is made from pure maple syrup and contains no additives. Maple cream is made by heating light amber maple syrup to a prescribed temperature, then rapidly cooling and stirring until it is creamy. Maple cream is an all-time favorite – some maple connoisseurs eat it straight from the spoon! A delectable spread for toast, bagels, english muffins and other foods. 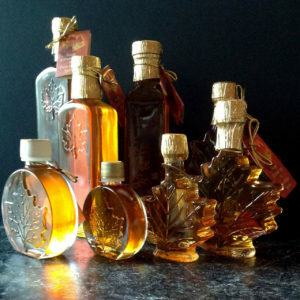 It is made from pure maple syrup and contains no additives. Maple cream is made by heating early season (generally lighter) maple syrup to a prescribed temperature, then rapidly cooling and stirring until it is creamy. Maple cream is an all-time favorite – some maple connoisseurs eat it straight from the spoon!